This is for information only, in case anyone is interested. All database fields are handled by the program's user interface and are generally self-explanatory. The actual implementation is a little more involved but the description below gives the basic elements. The name, caption, photo credit and notes fields are searchable. Reference records are also held in a separate database area, in similar manner to pictures and linked by botanical name to the master plant record. These simple records may be used to add additional reference information, either internal or external to the Plant Base application. For example an internal reference creates a clickable link to another plant record. External references can have different forms, such as a clickable link to an external website or a non-clickable text giving the name of a book or maybe a paper plant catalogue. Any number of reference records can be associated with a plant. Plant lists are created by the end-user, using the botanical name. There is no hard-coded limit to the number of lists stored or the number of plants in each list. While normally viewed as a simple name list, each list item can hold detail information fields (displayed on request in a separate tab). Duplicate names may be optionally allowed in order to record different locations, sizes and so on, where the same plant is used multiple times in a project. 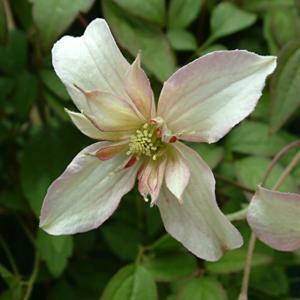 The plant names in the lists are linked back to the master records, so that all plant details may be quickly browsed . * - these fields were added for Plant Base 2, they were not present in the original 1.x.x versions. Geographic coordinates in list records are mainly for use in the mobile Android edition, but can be viewed or manually entered in other editions.